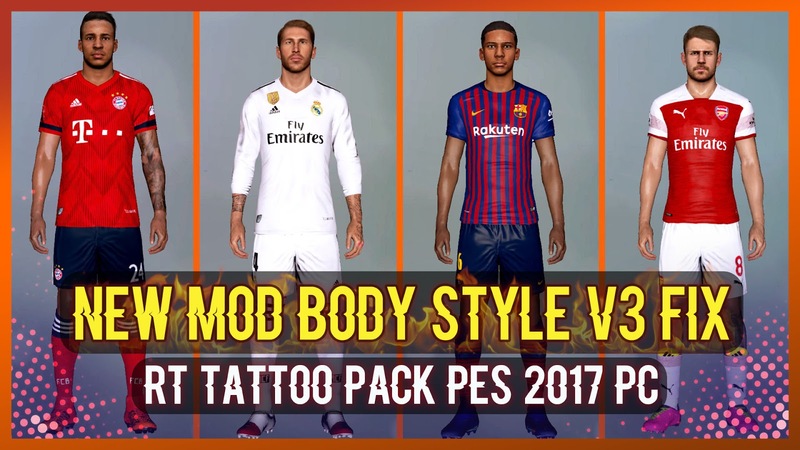 New mod body pack for PES 2017. This mod will make your PES 2017 Player body more slim like real life ! Also compatible with RT Tattoo Pack 2019 by Rean Tech !